A Halloween version of Kiss, Marry, Kiss with your favourite book characters! I know, I know this sounds horrible but, it is what I have to do with the choices I am giving myself. 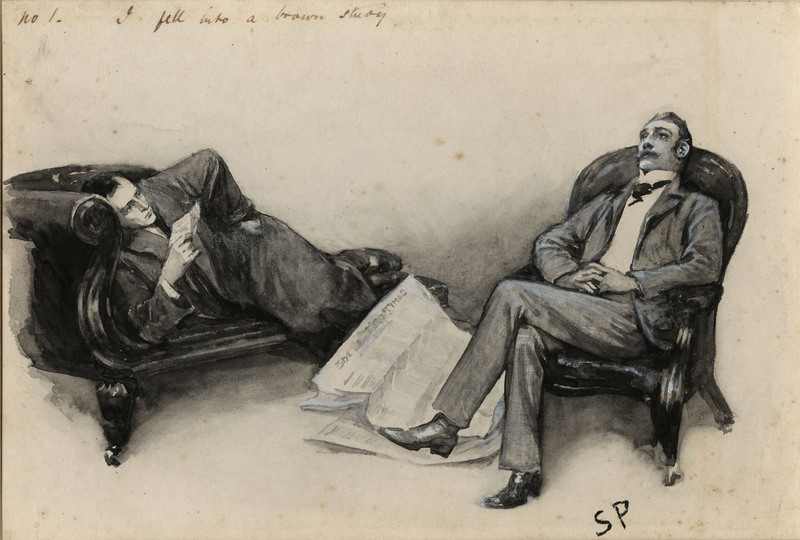 The reason I picked Sherlock Holmes is because he has done a lot with his life and his creator tried to off him, but the masses wanted him back. So ultimately I am trying to help Doyle. I feel like being around Jackaby would be a lot of fun for a short amount of time. Being around him for a period longer than even an hour could be very dangerous for anyone because of the things that always seem to happen around him and the creatures that find him. He is a kind and caring individual and stands up for what he beliefs in. On top of that, family is important to him and to me that is kinda important if you are going to marry someone. Also, he is mature enough to actually be in a place where marrying could be an option. 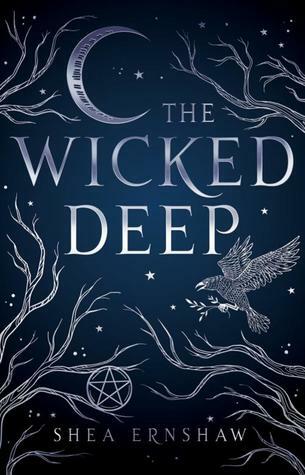 What would be your Bonded, Bewitched, Drowned? So over the past few months I was tagged three times to do the Sunshine Blogger Award and I am so honored to be tagged to answer so many fun questions. I want to say thank you to Sahi, Reg, and Whit for tagging me. All three are awesome women you should check out. I hope you enjoy reading and learning a little bit more about me and my readings loves. What book do you think made you into an avid reader? The Love at Stakes Series and Twilight Series, I read before that, but I never read routinely. If you got the chance to interview your favorite author, who would it be and what would you ask them? Louisa May Alcott and I would ask them how she stayed so dedicated to writing and how she stayed true to herself as a writer even though she was a women writing during the Civil War times. What’s the book that is on top of your summer TBR? What do you like the most about being a blogger? The best part is being able to talk to others about book and finding new ones I have never heard about before. 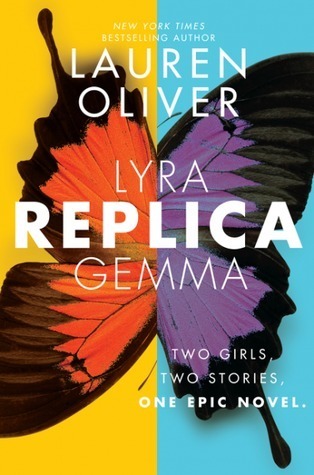 Have you ever bought a book purely based on it’s cover and which one was it? No, I normally do not cover buy, if anything a cover catches my eye, but I never buy without loving the description. 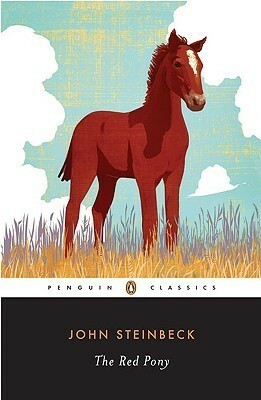 Are there any classics/books that you think everybody should read and why? 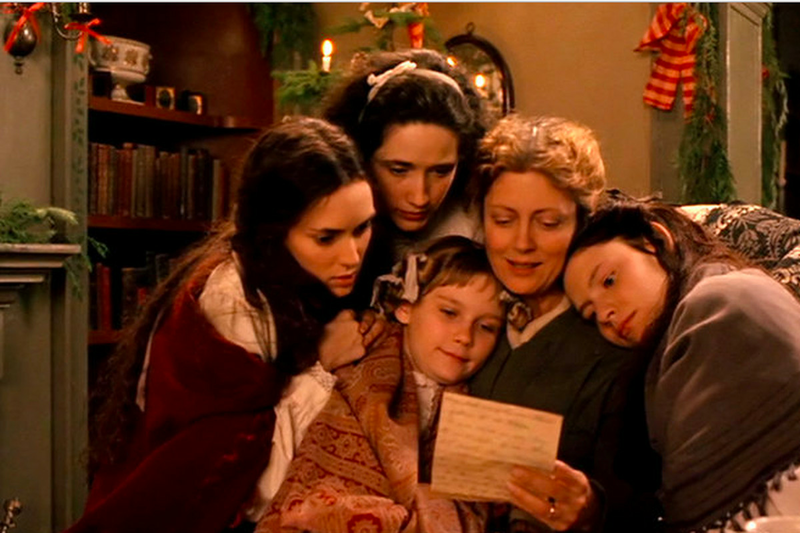 Little Women because a young reader can learn a lot from it. Have you read a hyped book that disappointed you a lot? I really did not like The Poppy War, I felt like it jumped way to much and I really didn’t care about any of the characters. Which book characters do you want to be best friends with? What’s your favorite genre and why do you like it? Do you like going to the bookstore or buying books online? I love going to the bookstore and supporting them when I can afford it. What book would you like to recommend to me? I would recommend the Jackaby Series. If you could meet any author who would you meet? What is the last book you regretted buying? 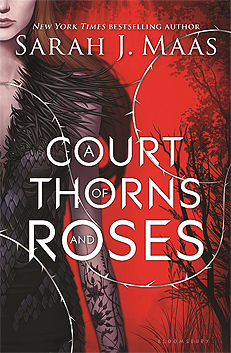 I regret buying A Court of Mist and Fury, I really did not like the 3rd book in the series. If you had the chance to write a book with any author who would you pick? 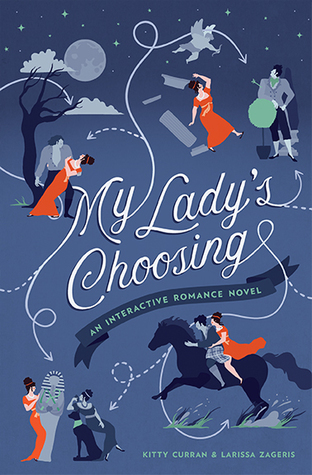 I think I would either pick Louisa May Alcott or Shirley Jackson. What book made a really big impact on you? The Bag of Bones by Stephen King, it was the first real thriller/horror book I read and got me into my current favorite genre. If you could turn any book into a movie, what book would you pick? As of right now all of the books I would want as movies have already been made into movies. Which bookish character do you look up to and why? Jo March because she was passionate, had fun, and stayed herself no matter what society told her to be. If you could live the life as any character who would you pick and why? I have no idea, I feel like my favorite books and characters have such hard lives and that is why I admire them so much. But, I really don’t know if I would be able to handle it realistically. Would you ever get a bookish tattoo or do you already have one? What would you get? I would get a harry potter inspired one, I don’t know if I will or not though. If you were transformed into a magical creature, what would you want to be? I would like to be a Valkyrie I just feel like they are badass. What time of day do you get the most reading done? For me I tend to get a lot of reading done before 1 or after 4. How do you come up with new and creative blog content? I either get inspiration from others and credit them or it just hits me. What author have you been a fan of the longest? I think I have been a fan of Louisa May Alcott the longest, but I have loved Stephen King movies and shorts before I knew he was a writer when I was little. What is the longest series that you have ever finished? The Love at Stakes series, the series True Blood was based upon. I think that is the longest one I have completed. If you had to choose a world from literature to be plopped down into, which would you choose? Harry Potter after Voldemort was defeated, I don’t want that kinda of drama. I just pick up what I am feeling at the moment, I am a very big mood reader. The last books I bought were 4 of Shirley Jacksons books; The Lottery and other stories, We Have Always Lived in the Castle, The Sundial, and Hangsaman. Do you have any books that you used to love, but now you don’t? I am thankful that has not happened to me, all of the books that I have loved I still do. What is your favorite thing to do, other than reading? I love creating things. I enjoy embroidery and drawing a lot lately. Who would be your book bestie? Chances are it would be either Luna or Hermione because I was either the outsider in school and because I spent a lot of my time in the library during my schools years. What three words best describe your current read? What is your earliest bookish memory? Do you have an auto buy author? If so ,who? What fictional character do you think is most likely to hide in the dark? How often do you go to the library or bookstore? 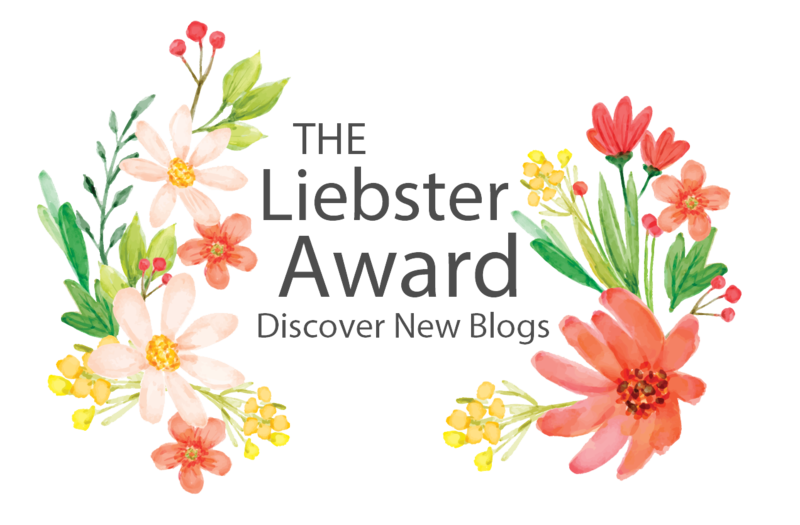 I want to thank Whitney for nominating me for this award, you should all check out her blog it is wonderful and she is very kind. Since this is my 3rd nomination I will link to my two previous ones incase you would like to read my answers from those previous times. It is always interesting how people change and their opinions change over time and as we grow. 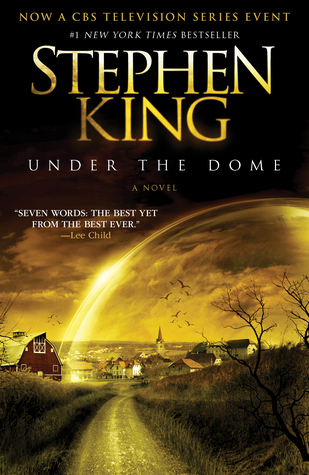 What standalone book do you wish had a sequel? Oh this is an awesome question, I think I would love if Sleeping Beauties by Septhen and Owen King has a sequel. Since I finished the book I always wondered how the world would have changed after then end of that book. What is your favorite bookish object purchase? My favorite bookish object I have purchased would have to be any bookmark. I feel like out of all the things I have bought, that is the thing I maintain my use of and continue to use. Who is your favorite romantic pairing in a novel? Easy, Jo March and Professor Friedrich Bhaer from the Little Women series, yes it is a four book series. It is totally mood based or if I have a deadline coming up. 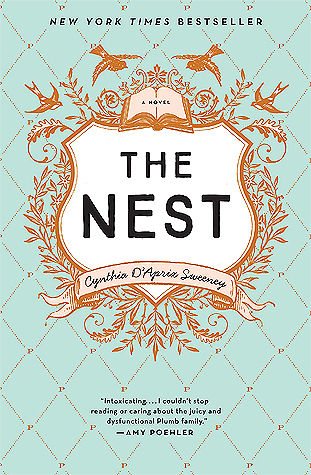 Do you like to see the movie adaptation of a book first, or read the book first? I honestly don’t have a preference, I tend to see these as two separate entities. What is your favorite and least favorite genre? I love thrillers and non-fiction, I have recently realized that I do not like science-fiction and I am VERY picky about fantasy. How long do you normally take to finish a book? I can take me a day or months, there is no rhyme or reason for it. What character would you choose to be your companion on an adventure? Bilbo Baggins or the Weasley Twins, you need some fun and smart people to help keep you alive and your spirits up. What is your Hogwarts house/do you feel that it is accurate? Hufflepuff and I feel that it is very accurate! Who would comprise your ultimate girl squad? Oh this is too difficult! Um, I would have to pick Eleanor Roosevelt, Jo March, Hermonie Granger, and Professor Minerva McGonagall. What books has the most sentimental value for you? What does your dream bookshelf or library look like? Have you had a pet that you gave a bookish name? If not, if you did get a pet what bookish name would you give them? Have you ever DNF’ed a book? What book was it and why? Do you reread books? Please explain because I am very curious. What is your reading routine? What format do you usually read? How many books are currently in your TBR? 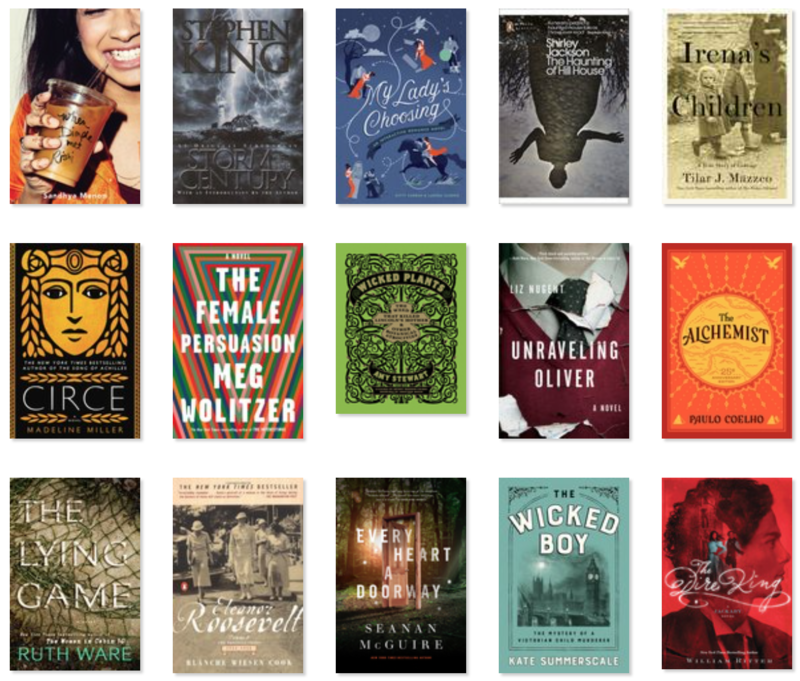 What book are you most excited about reading this year? Hello, I am here with a way overdue tag. I was tagged by the amazing Misty over at Misty’s Book Space to do the What’s in My Bookshelf tag. As soon as I saw her post I was so excited to be tagged for it. I love learning about the bookshelves of others and sharing information on my ever changing shelves. 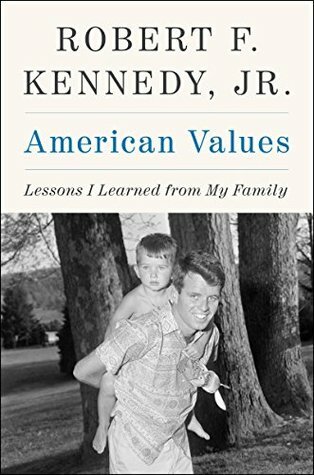 I currently have two books from the library, I have American Values: Lessons I Learned from My Family by Robert F. Kennedy Jr. and Songs of Achilles by Madeline Miller. 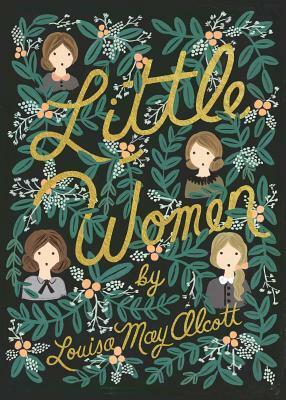 Over the years I have gotten many editions of Little Women by Louisa May Alcott, which is my favorite book of all time. P.S. you may not realize that this book is actually a series. 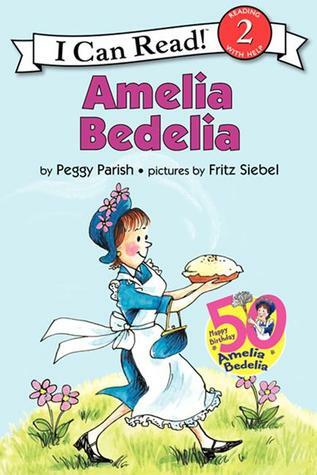 The first book to pop into my head when I think about my childhood is Amelia Bedelia by Peggy Parish and Fritz Siebel. These were my absolute favorite books as a small child. Harry Potter, the entire series. It is magical, do I really need to say more? I am picturing my favorite of the series. If you want to know my ranking order please see my post Tag | Ranking Harry Potter Books & Characters. 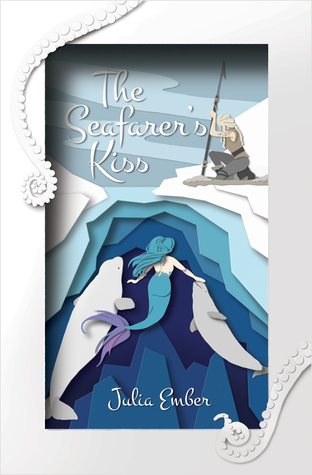 The first “romantic” book I saw on the shelf is The Seafarer’s Kissby Julia Ember. 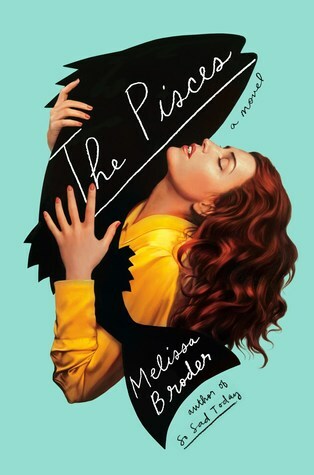 It a wonderful F/F retelling of The Little Mermaid, apparently there is a second one coming out that I am very excited about. I have none, sorry. I don’t often read classic “romance” or “steamy” books anymore. If you asked this question 5 years ago I would have a list read for you. The oldest book I own is A Study in Scarlet by Arthur Conan Doyle. 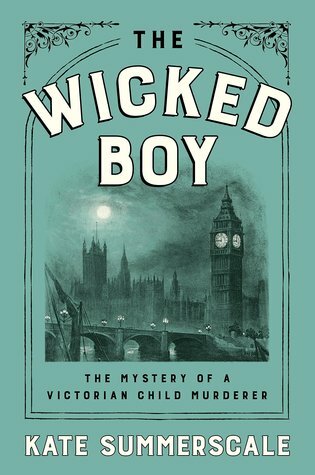 I cannot find my edition on goodreads, so I linked to a different edition. Here is a picture I took of it over on instagram nearly a year ago. The funniest book I own is Herding Cats by Sarah Andersen. It is hilarious and I actually made an entire review on it. 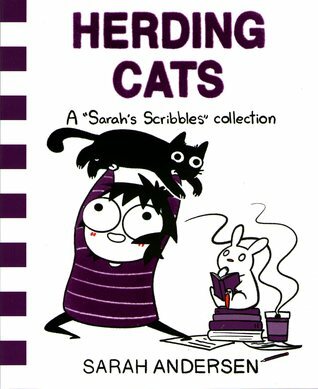 REVIEW | Herding Cats by Sarah Andersen. 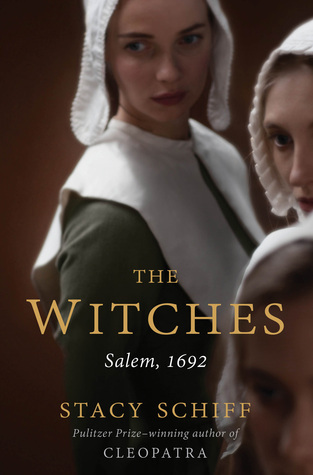 Even though this is non-fiction The Witches by Stacy Schiff, what that town went though and the story of the individuals that should not have lost their lives. It was heart breaking, it made me very angry. 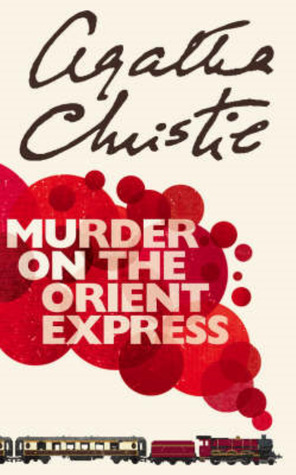 One of the best non-fictions books I have ever read. I got rid of every book I did not like the ending of, so there are none of my shelf. I think the one that I can remember was the second book in the Lara Jean Duology, I was not happy with who she ended up with. Honestly, I wish all books were required to have some images in them that were approved by the author. That was I can really see what the author envisioned. I think that would be fun, but if I had to pick one I would go with Lying in Wait by Liz Nugent. It is no shock that I love her writing and I would love to see how she pictured each of the narrators. 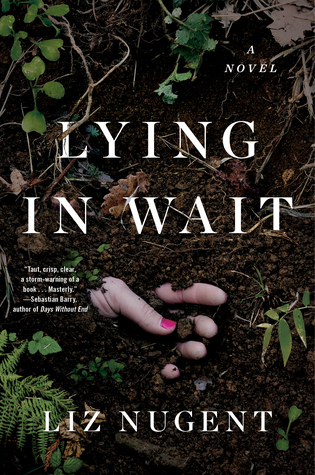 If you wanna see all my thoughts on this book you can see my review, REVIEW | Lying in Wait by Liz Nugent. Any book is perfect for a rainy day! But, once again if I had to pick one genre for a rainy day it would have to be a thriller. 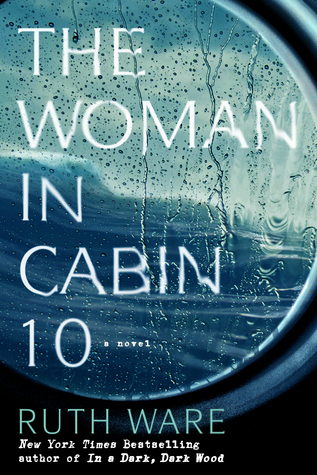 I mean, creepy weather mixed with a suspense filled read would be perfect! I cannot believe that 2018 is almost already halfway over, where has the time gone? I have a sneaking suspicion that I have been just having too much fun and that is why time has gone by unnoticed. Whether that is the reason or not I want to check in on my reading regardless and make sure I am on track with my reading. 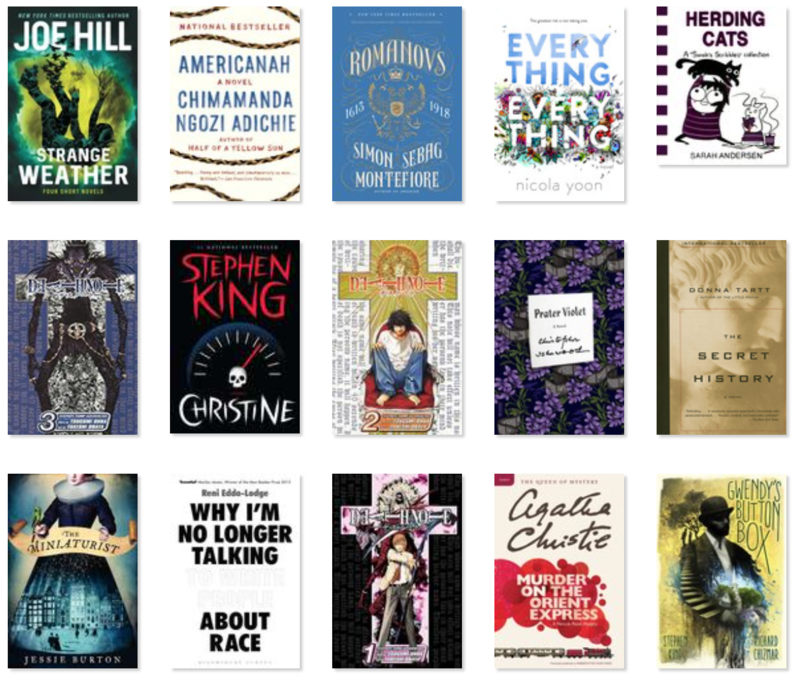 So, here is what my reading has been like so far in 2018! 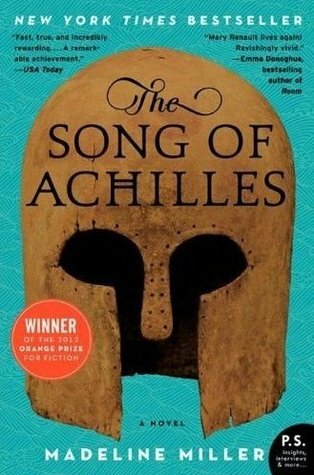 Best book you’ve read so far in 2018? Unraveling Oliver by Liz Nugent, it was an absolutely wonderful thriller. 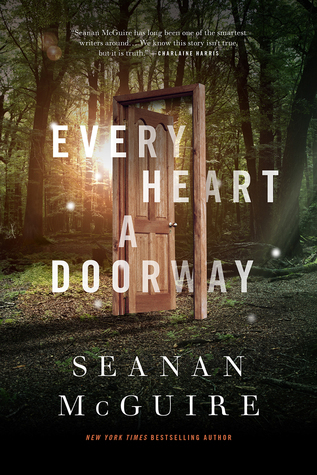 Best sequel you’ve read so far in 2018? The Dire King by William Ritter, it was fun and wonderful just like every previous book in the series. The Cruel Prince by Holly Black, I have no idea why I have not read this book yet. Most anticipated release for the second half of 2018? Honestly, I am not too sure. Lately I have been focusing more on what I have. The Miniaturist by Jessie Burton, it just was not for me. The Haunting of Hill House by Shirley Jackson, I did not expect to like this classic as much as I did. Now I keep telling everyone to get it and read it. Liz Nugent, I have read two of her books this year and I loved them both. I don’t have one oddly, that usually happens a lot. I can’t decide! I found so many awesome ones this year. None made me cry, but some made me come very close. 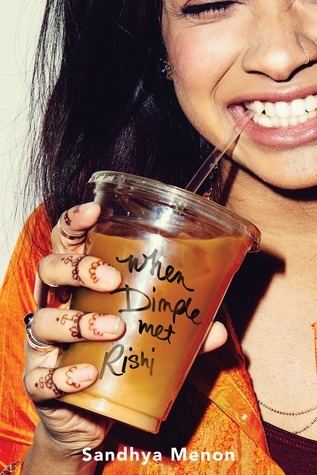 When Dimple Met Rishi by Sandhya Menon, it just made me feel happy and I flew through it. Favourite book to movie adaptation you saw this year? I haven’t seen any so far, any recommendations? 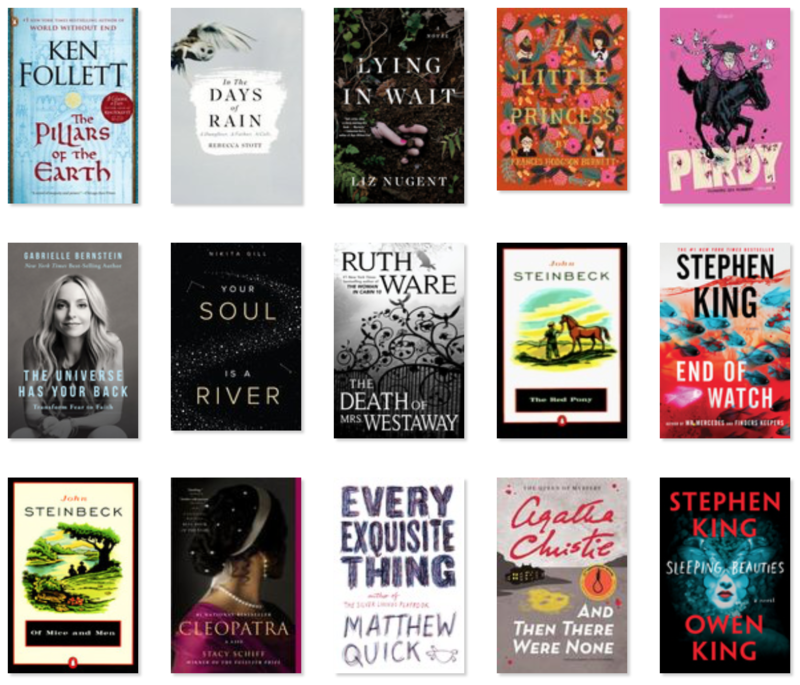 What book do you want to read by the end of 2018? I was tagged by Whitney to participate in a week long celebration in honor of 21st anniversary of the UK release of Harry Potter and the Philosopher’s Stone. This was created by Margaret from Weird Zeal. Today I am combining day 2 and 3 of the tag. For day 2 you are asked to rank the books from your favorite to your least favorite. On day 3 you are asked to name your top 7 characters. Link back to one of Weird Zeal’s posts so she can see that you’re taking part! Tag your friends and tell them to join in as well! Teddy Lupin – Amazing professor and is so positive even though what happened to him. Rubeus Hagrid – I mean, he has the biggest heart I have ever heard of. Nymphadora Tonks – She is just awesome in my book, but a Hufflepuff! Fred Weasley &George Weasley – They are just good ol’ trouble makers with golden hearts. Severus Snape – I love the complexity and the divide dealing with this character, just makes me think a whole lot. Minerva McGonagall – Awesome witch, total role model. 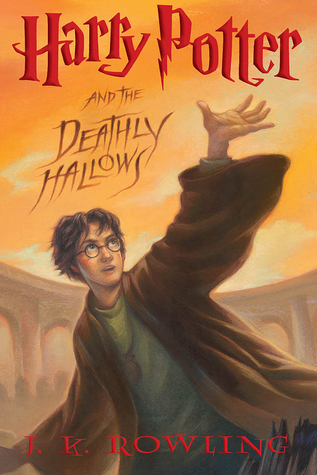 What Harry Potter book was your favorite? What character is the most memorable to you? I was tagged by Whitney to participate in a week long celebration in honor of 21st anniversary of the UK release of Harry Potter and the Philosopher’s Stone. This was created by Margaret from Weird Zeal. Since this is day one of the celebration I am here to share with you a wonderful tag! 1: What house are you in? 2: What is your patronus? Mine is a Blood Hound, which I love because it is a puppy! 3: What is your wand? 4: What would your boggart be? Snakes, I get so afraid of snakes. I have nightmares all the time about them. 5: What position would you play in Quidditch? I would be in the position of sitting in the stands, I am not athletic in any shape, way, or form. 6: Would you be a pure blood, half blood, or muggle born? I have no idea, I mean any of these options would work for me because in any situation I would be a witch. 7: What job would you want to have after graduating Hogwarts? Potions Master, I always loved mixing and making things. The bonus is that it can help others too. 8: Which of the Deathly Hallows would you choose? I would pick the Invisibility Cloak, I feel like the others would be more detrimental to my wellbeing. 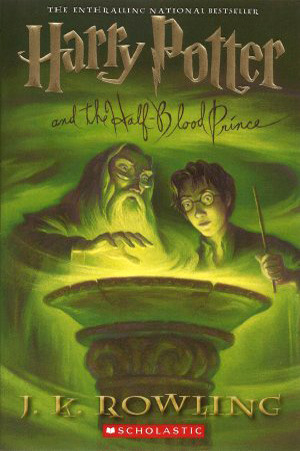 I loved the Half-Blood Prince, I think because that is when things get very serious. I never really was a fan of The Chamber of Secrets. 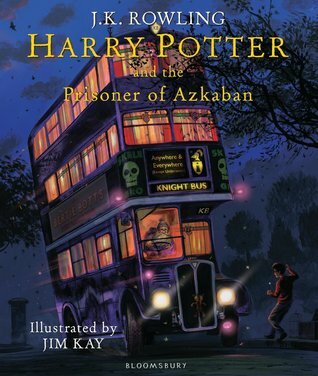 The Prisoner of Azkaban I think was the best for me. I felt like the magic was very noticeable in this movie more so than previous ones. The Chamber of Secrets, I really did not like this book/movie. I think overall Lupin is my favorite character even though we don’t meet him until a few books in. 14: Least favorite/most hated character? Professor Umbridge, she is a monster. 15: Favorite teacher at Hogwarts? 16: Least favorite teacher at Hogwarts? Professor Quarrel, letting that troll into the school was just not cool. 17: Do you have any unpopular opinions about the series? I don’t think I do? 18: If you could save one character from the finale battle who would you save? HOW CAN YOU EXPECT ME TO ANSWER A QUESTION LIKE THIS?! I WANT TO SAVE EVERYONE! If I did HAVE to pick I would pick Fred, I always felt so sad for George losing his twin. Join in on the fun even if you were not tagged! I have been seeing this tag everywhere and my shelves are currently at full capacity so I thought it would be a great time to complete this tag. This was created by BooksandLala over on youtube, her channel is amazing! At the end of this post I will share her video with you incase you would like to watch for yourself. This tag has 10 prompts, for each prompt you have to get rid of at least one book. So in theory I should have space for ten more books on my shelf when this is all done. I just didn’t really like it, I felt it was boring and even though it was only 100 pages it seemed to drag, a lot. This was the first book that came into my head and it did not take long. The more and more I think about this book the less I like it. It seems very generic and is a story I have read a few times. So, I am unhauling it. This was a very hard one to admit. I really enjoyed book 1-3 of this series. But, it is time to admit to myself that I am not going to continue on with this series. I am no longer interested in stories like these. I am unhauling books 1 and 2, but I am keeping book 3 since it is a signed edition and I want to keep it for memories. I read 3 pages and decided I didn’t really want to read this. The only multiple copies of a book I have are old editions of Little Women by Louisa May Alcott and I am NOT getting rid of those. I mean look at the picture, you cannot tell me that is not an adorable picture and an adorable family! I got this as a blind date with a book from my local bookstore. It sounds interesting, but I know I will not get around to it any time soon. This book is very hyped up over the years, I picked this up because of a book club which kinda fell through due to my schedule and honestly I don’t see myself reading this on my own. This was a completely random pick up in the history section in my bookstore. I ended up really enjoy it, which is a total win. The only reason I am unhauling this book is because I want to pass it around to my friends and tell them to give it to someone else after they have finished reading it. Maybe that isn’t really an unhaul? I don’t know. Anyway this was great and I am sad to see it go, but happy to pass it along. I got this for my birthday as a joke from my friend. I realized that I read it once and I would never really pick it up again. I am thinking about wrapping it up as a present for her to see what story she chooses and have a little bit of fun with her. 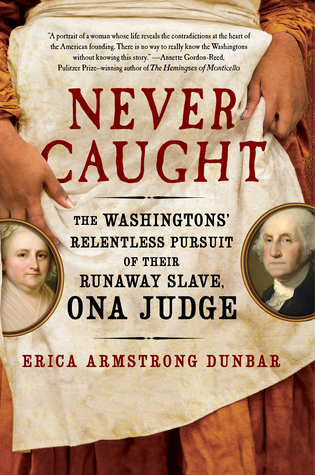 So here is a fun book to unhaul! So those are the books I deiced to unhaul for this challenge. Some of these were very easy to get rid of while others were a bit harder to part with. 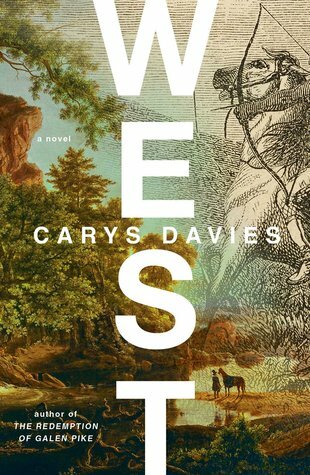 I think the easiest one to unhaul is The West, due to it being a blind date with a book. I never actually picked it even though I bought it. 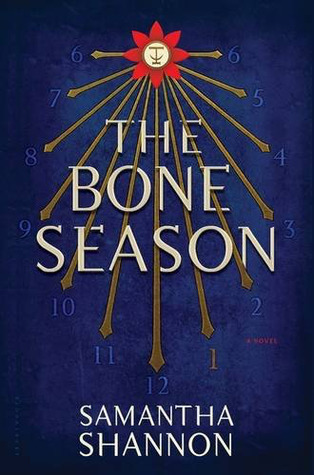 The hardest book to unhaul was The Bone Season. It was hard to admit to myself that I really was not going to finish the series and acknowledge that my reading tastes have changed so dramatically. I think my two favorite books to unhaul are My Lady’s Choosing and Never Caught. Mainly because I get to pass the books around and share them with others. My Lady’s Choosing is a perfect joke gift for my friend. 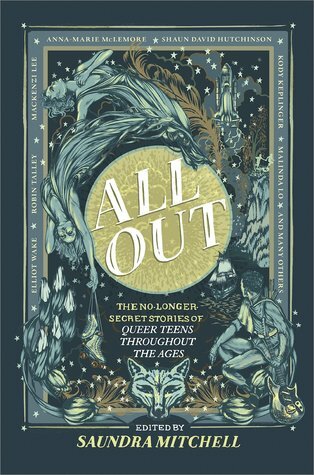 Then on the other hand Never Caught was so good that I want to share it with a bunch of people. I kinda want everyone who has read it to sign it so the last person to get it gets to see the names of everyone. Anyway, thanks for reading. I hope you have an awesome day. P.S. Lala’s video is below if you want to read it and the question of the post. What’s the last book you unhauled? Hello everyone, today I decided to have a bit of fun and do a tag. This time I am doing one that lets me share a bit about the books on my bookshelf and what I thought about them. I will admit I wanted to reuse a book or two to answer multiple prompts, but I thought it would be fun to challenge myself and share more books on my shelf. Without any more delay, here is the Bookshelf Scavenger Hunt 2.0 Tag. 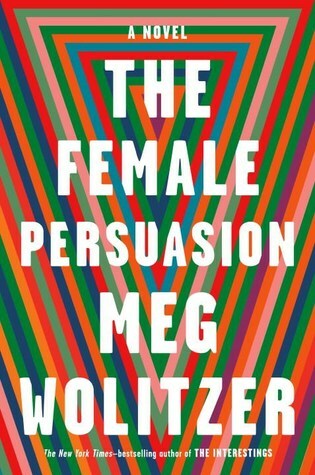 This was a great short non-fiction novel that I read earlier this year. I found it enjoyable and eye opening. 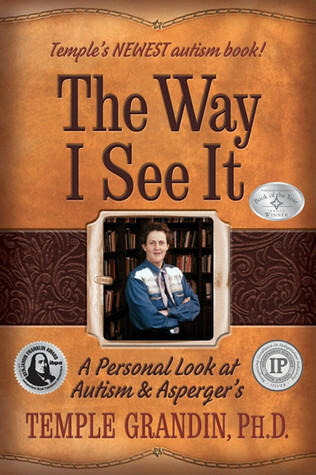 If you want a bit of insight into Autism Spectrum Disorder, this is a wonderful book to read. I read it very quickly and found it enlightening. This is my one of my two FAVORITE non-fiction. It is both informational, but I love how it is written. It id not bogged down by facts, but reads more like a narrative. I have yet to read this, but I can’t wait to try reading this interestingly formatted duel perceptive novel. I love this thriller, It was one of my top 5 of the books I read last year. It kept me on the edge of my seat and took twists and turns I could not predict. I very recently picked this up on discount at Barns and Nobel. I mainly picked it up because I heard so many great things and I wanted to see for myself. Okay, this one might sound wrong, but hear me out. The reason I don’t like this cover is because my copy the cover is ripped. That is why I don’t like the cover. 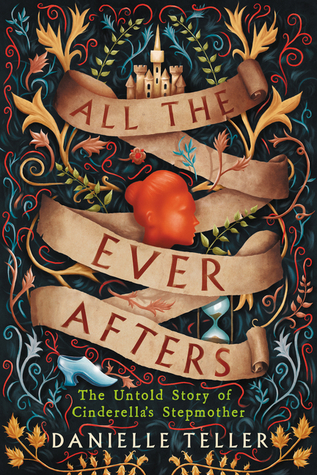 This is a retelling of sorts of Cinderella’s Stepmother. I have yet to read this, but I cannot wait to get to it. 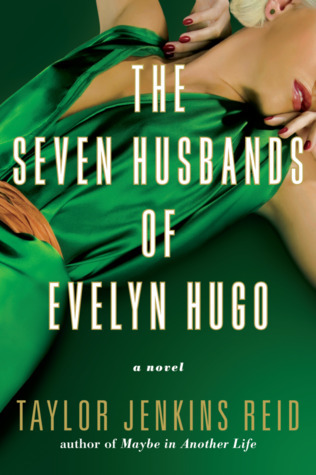 I have yet to see the movie adaptation, mainly because I don’t want to buy a copy but, I did enjoy the novel! I read it very quickly. 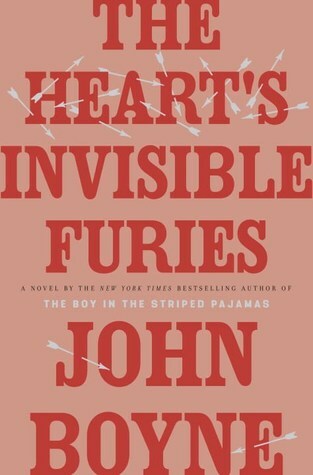 This was a book that came out pretty recently, but I read it and I read it in a single day. 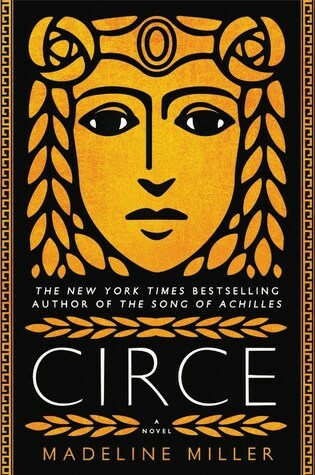 I found it interesting and I felt for Circe. 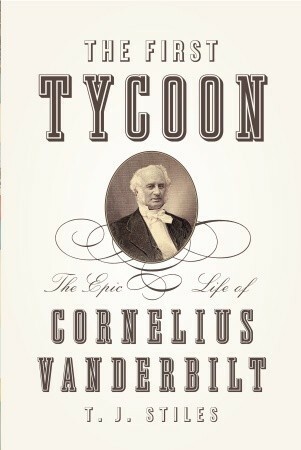 This is one of my top 2 non-fiction reads. Once again this non-fiction account of the Salem witch trials reads more as a narrative than a non-fiction. It is not bogged down by facts and quotes, but flows nicely. 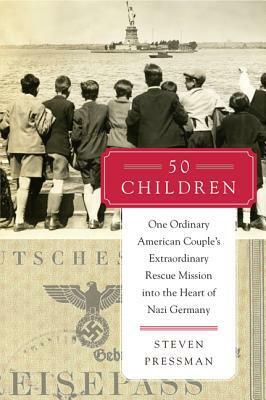 This is a magnificent story of a couple who required as many children from Nazi Germany that they could. Anyone who shows a slight interest in WW2 stories I tell them to read this. 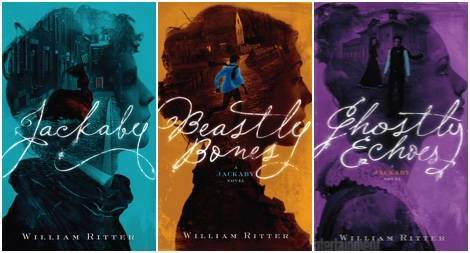 This is a wonderful series, if you have not read at least this first book I suggest you try it. They are short, but pack your bags for an adventure. Do I really need to say anything? I mean it is Harry Potter. If I DNF a book, I donate it right away. So I have none on my shelf. I had no idea that a purple colored book was so difficult to find. This was the only one that I could find on my shelf. Obviously, I love it. I got this very recently for my birthday, I am VERY excited to get to it! If you have read it, please tell me what you thought of it. I hope you enjoyed this little look at my bookshelf and maybe even found a book that might interest you. Have a great day! I was nominated by the lovely Claire over at Cup of Books, thanks Claire! 1.I used to play multiple instruments, I even read music. But, I have forgotten how to now. 2. My favorite color is green, but chances are that will change in a week. I never have the same favorite color for loIng. 3. I used to HATE reading. When I was a child I would read like crazy then people started to tell me what to read. Then, I refused to read everything, then when people stopped telling me to read I finally did. I am a stubborn person. 4. Watched the first Harry Potter movie before I started reading the books. I know, I watched the movie first, the HORROR! 5. I love collecting mugs, I tend to pick up one from every place I visit or if I think one is cute. 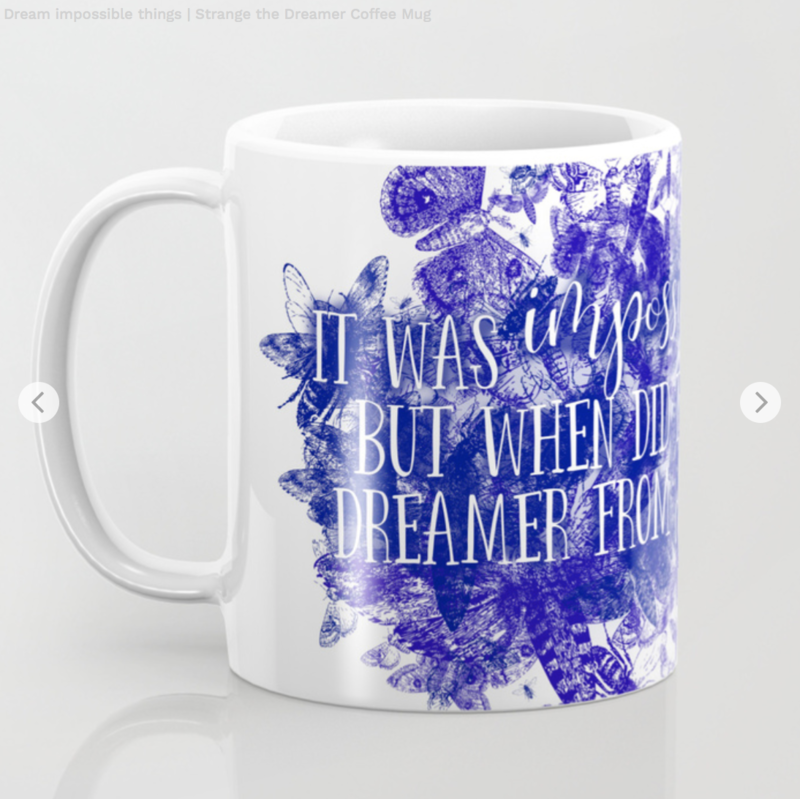 The last one I bought was created by Lia over at Lost in a Story, you can find that here. 6. I have a huge sweet tooth. I especially love brownies. If you have a good recipe please send it my way. I love trying new ones. 7. I enjoy both coffee and tea, I tend to one each of them every day. Most of the time I have coffee in the morning and tea in the afternoon. Jenna from J.K. I’m Exploring!